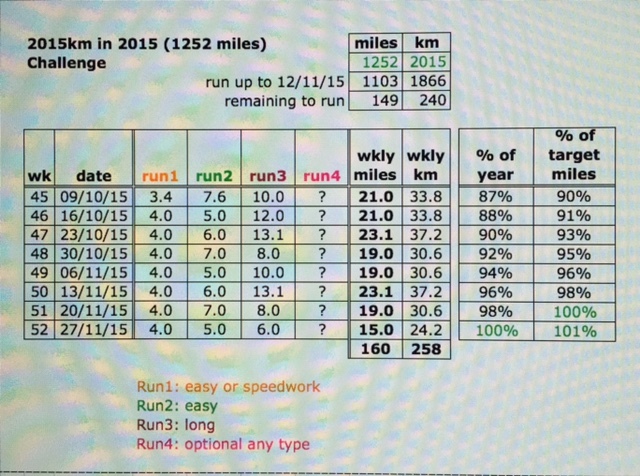 Even after just two runs last week (5 miles and 11.6 miles) I’m still on target to get 2015km or 1252 miles this year. 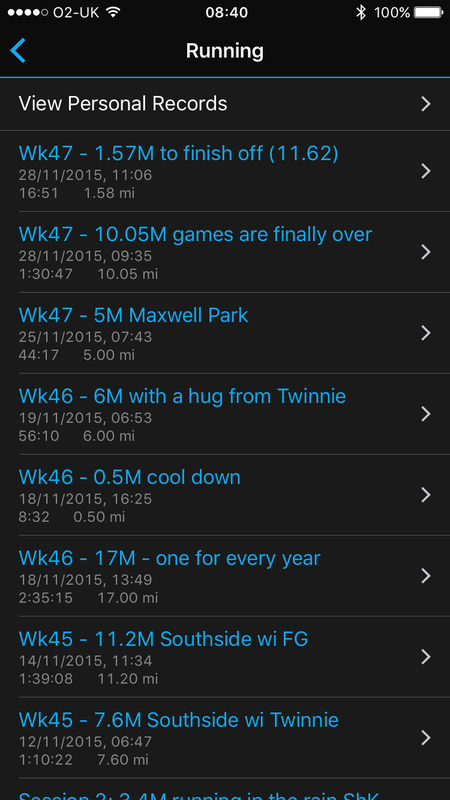 I’ll do wha I had planned last week, this week, 4-5 miles, 6 miles, 13.1 miles. Then when I’m at home this weekend I’ll redo my plan below based on what I’ve done far. 3-4 runs a week. I got a good sleep last night and today I’m travelling up to wick to see some friends and family. I’m hoping my trainers are dry from yesterday when they got soaked running in Inverness! My two (runner) brothers will be up in wick, so hopefully I’ll get a run or two in with them over the next few days. 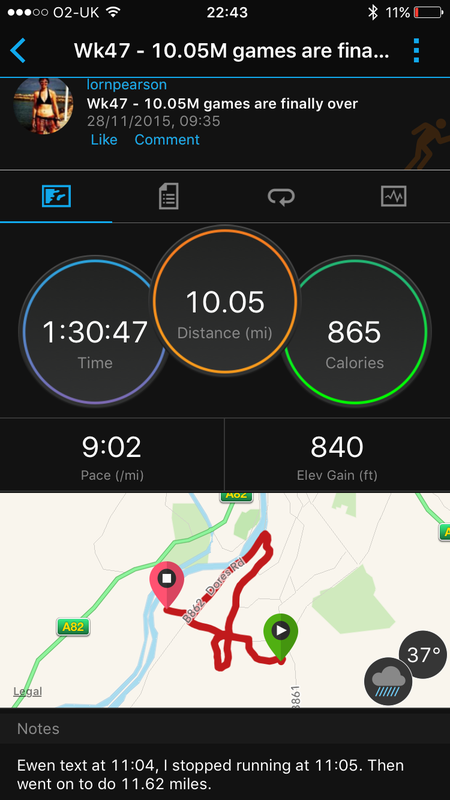 Sun: rest – Christmas shopping? !